Bridgestone Automotive Air-conditioning hose has high damping properties to reduce noise and can be supplied both as pre-shaped assemblies and bulk-hose for local customisation. 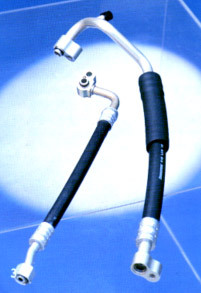 Our hose is approved by many vehicle manufacturers. If you are an automotive manufacturer, or a sub-supplier of air-conditioning systems and you are looking for a reliable source of high quality volume hose, contact the Bridgestone Industrial office in your region. 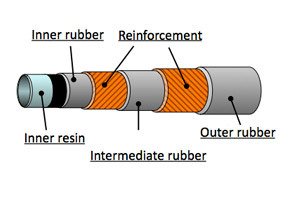 Bridgestone is an independent hose supplier, only supplying the rubber hose. Crimping and couplings should be arranged separately.